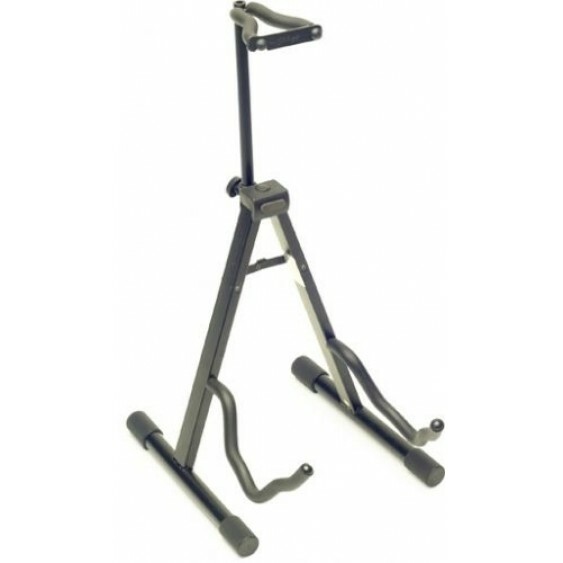 The perfect, sturdy solution for any guitarist wanting to display their instrument and make it easily accessible! 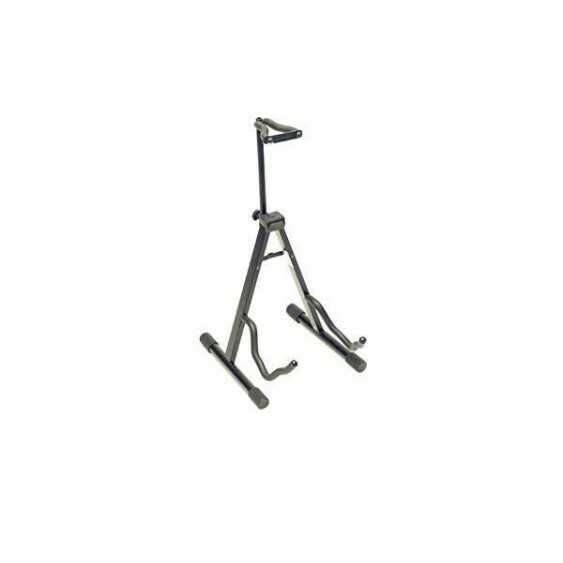 This stand is the perfect solution for guitarists who want to safely store their guitar, but don't like putting it away in the case all the time. Stagg's A frame stand safely cradles the body and neck in rubberized forks that protect the finish and action of your instrument. Leaning your guitar against the wall can lead to a warped neck, which quickly affects the playability. 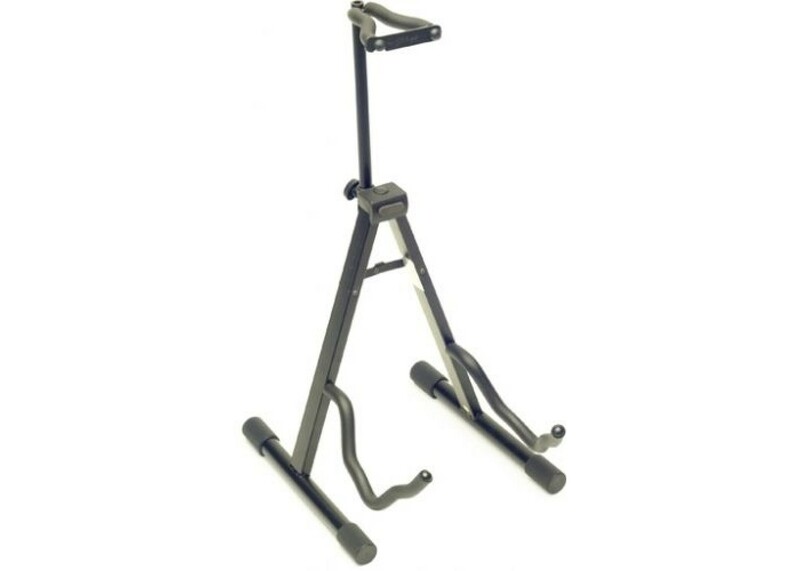 Don't damage your investment - get your guitar the treatment it deserves with a Stagg tripod stand!